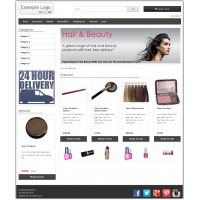 Our Exclusive package eCommerce website with the following additional features: SSL certificateExclu..
5 editable pages. Several styles available. Choice of colours and layouts. Easy t..
10 editable pages. Several styles available. Choice of colours and layouts. Easy ..